Maui Mike’s earth friendly soft pots are made from water bottles and hemp! Aeration from breathable material helps roots stay cooler in summer and warmer in winter. Grow bigger and healthier plants. Sewn handles for easy moving. 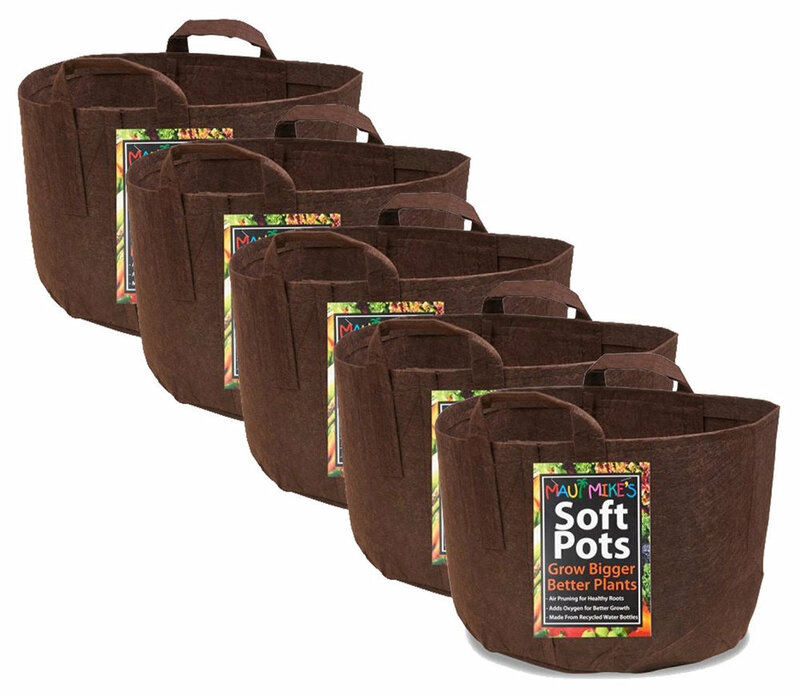 Purchase as single pots or 5-packs in a variety of sizes. 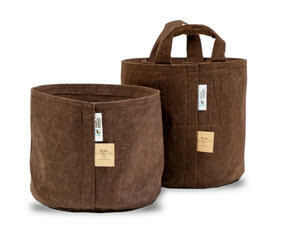 The root pouch’s breathable fabric allows air to flow to roots for healthier plants! Aeration helps roots stay cooler in summer and warmer in winter. These pots can be used with drip systems, hydroponic trays and rain gutter grow systems. Sold in 10-packs in a variety of sizes.